You’ll walk through a trail of lights full of displays and thousands of Christmas lights. This year Jon Corkern,Executive Director of the American Rose Society, said they’ve put up more Christmas lights than ever. "I’ve asked the guys to totally pull out everything that we have in the shed. We have more Christmas cards this year than we’ve ever had,” said Corkern. ‘Christmas in Roseland’ is open every Friday, Saturday and Sunday from now until December 16. After that, the light display will be open everyday from December 17th through 23rd. Gates open at 5:30 p.m. and close at 9:30 p.m., but the display will be open until 10 p.m. 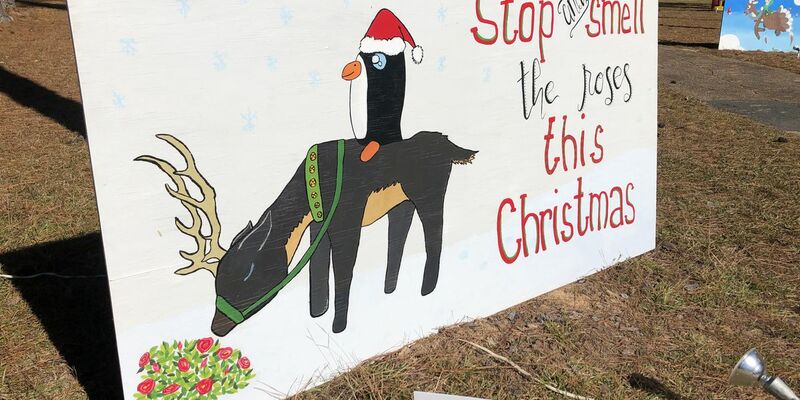 Along with the lights, there will be live entertainment, Christmas cards made by students in the community, pictures with Santa Clause, and a train for the little ones to ride around. Tickets prices are $5 per person, or $20 per carload. Santa will be available for pictures from 6 p.m. until 9 p.m. for $10 and the Roseland Express train ride is $5 per child. ‘Christmas in Roseland’ is part of the Louisiana Trail of Lights that have attractions from the Shreveport-Bossier area, Natchitoches, Minden, Monroe, and Alexandria. There will also be special events happening, like the Roseland Christmas Market on December 7th and 8th. On these days, there will be over 40 local vendors, so you can shop while you enjoy the lights. For more information on ‘Christmas in Roseland’ or other events happening the next few weeks, you can check out their Facebook Page or visit their website.